one of the leading soloists of his genre and significantly responsible for numerous arrangements for the ISABELLE VAN KEULEN ENSEMBLE. Christian Gerber won numerous prizes, one of which was the Deutscher Schallplattenpreis (German Records Award). is one of the most versatile pianists of our time and as a musician, is known for her sensitive playing. Already in 1988, joint concerts with Alfredo Marcucci led her to work intensively in the genre of Argentine tango. this charismatic musician is associate principal bassist of the NDR Radio Philharmonic in Hannover and husband to Isabelle van Keulen. A series of high-quality concerts in the Concertgebouw Amsterdam, at the Rheingau Musik Festival, the Schleswig Holstein Musik Festival, the Delft Festival, among others, launched the success story of the ISABELLE VAN KEULEN ENSEMBLE, which has since become well established on international concert stages and festivals. The subsequent recording of three successful CDs testifies to the success story, the vast repertoire, and the versatility of the ensemble. A new CD production is planned for the Piazzolla-year in 2021. 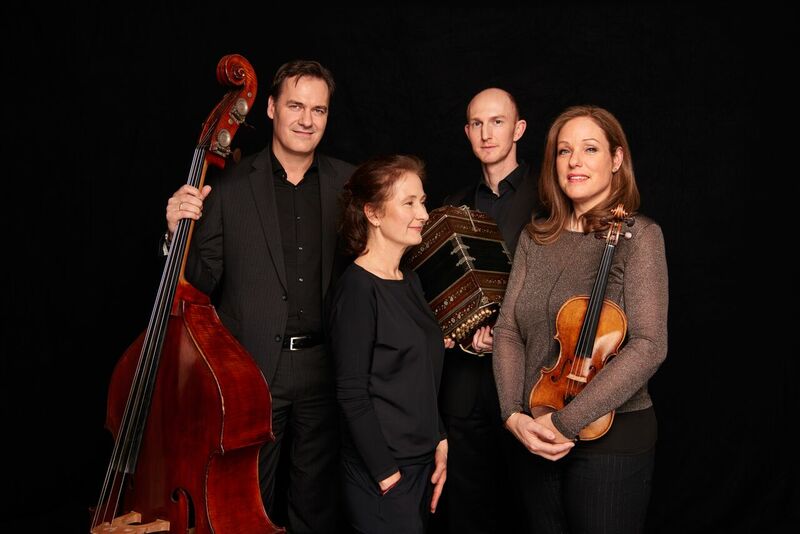 From the very beginning, the ISABELLE VAN KEULEN ENSEMBLE has been dazzling its audiences through its depth of musical expression, its technical brilliance, and the simultaneous mixture of melancholy and severity which is so typical of the Tango Nuevo, pairing great joy in playing with intimacy.